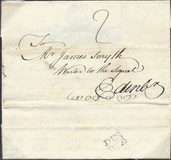 1758 Entire to Edinburgh showing a very fine straight line DUNS with mixed typeface. 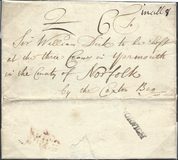 1794 Entire to Leith showing a VERY FINE STEP-FRAMED OLD/MELDRUM - Scarce. 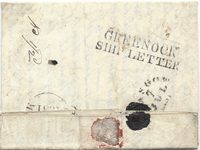 1790 Privately-carried entire from the "EDINBURGH FRIENDLY INSURC OFFICE" addressed to "Mr George Rodger/Writer/Selkirk" and sent "p Waldie/Carrier". 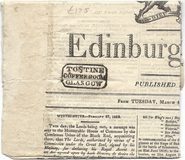 1781 Entire used within Edinburgh showing a fine circular undated PETER WILLIAMSON's "E. PENNY POST NOT PAID*". 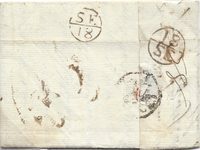 1794 Entire from Kelso addressed to London showing a very fine London EXPERIMENTAL CIRCULAR PAID datestamp in red, L98 - in use five months only.